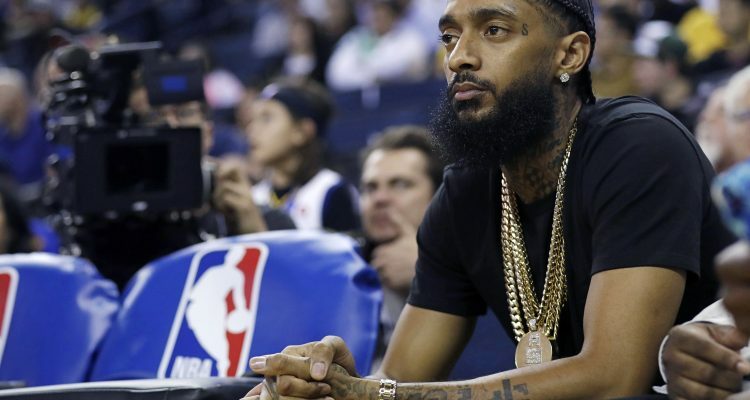 The death of Nipsey Hussle has rocked the Hip-Hop world and some people are going to the extreme in order to show their support for the slain lyricist. Tagging celebrity tattoo artist Nikko Hurtado and LA’s Black Anchor tattoo shop, The Game took to social media to show off his giant new chest tattoo that honored of his fallen friend. The rapper posted an Instagram story getting the ink in real time, using the hashtag #LongLiveNip to commemorate the sizeable skin portrait of his musical contemporary. The Game got his new tat just one day before the jam-packed memorial service held at Los Angeles’ Staples Center for the late artist who was gunned down at the age of 33 outside his Marathon Clothing store on March 31st. The event featured performances by Marsha Ambrosius, Jhene Aiko and Anthony Hamilton, while Snoop Dogg, L.A. radio host Big Boy and Hussle’s partner Lauren London were among those who gave tributes to the star. Watch the clip of the massive portrait tattoo below.